Ascension has enjoyed a long tradition of excellent music shared by the choir. 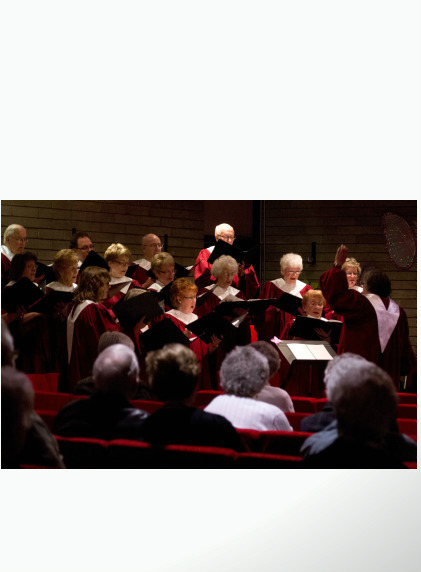 Meeting weekly for a two hour rehearsal, as well as fellowship and coffee, our choir brings a musical offering to most Sunday worship services. Christmas and Easter Cantatas, joint ventures with the young people of our congregation as well as other choirs, and hosting musical groups from around the city and province are some of the many activities this versatile choir engages in. Many musical styles are sung, as well as a variety of arrangements, from simple to more difficult. Whatever is being worked on, these singers have fun! !